The AAF is already showing more transparency with their officiating and replay process than the NFL has for years. A common NFL criticism (among many) is the lack of transparency in both the rules themselves and the enforcement of those rules. The Alliance of American Football is obviously not going to replace the NFL, but that doesn’t mean the bigger league can’t learn anything from the AAF. 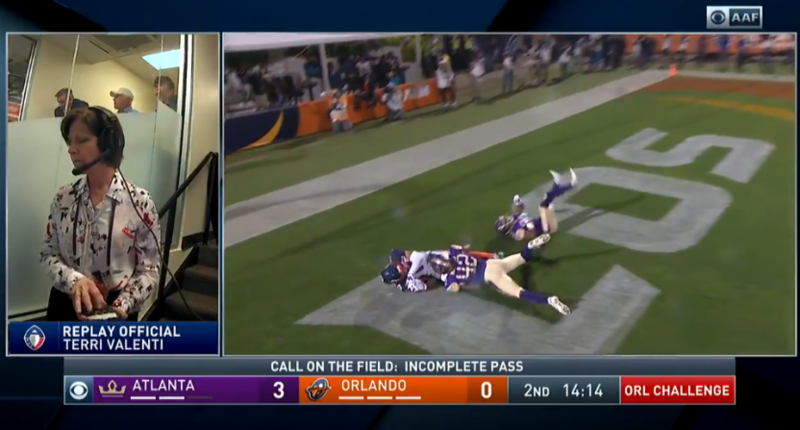 If there’s one thing they should adopt as soon as possible, it’s the AAF (and CBS) putting a mic and camera on the replay official. The risk leagues run, of course, is that by putting a spotlight on officiating decisions, viewers can see mistakes happen in real-time. What that ignores, though, is that we can already see when mistakes occur. No one really expects perfection from officials, but people do expect at least a semblance of a competent process, and that’s what this transparency offers. The irony is that by not offering this (and by not offering something like the NBA does, even, with their final two-minute reports), it invites fans (New Orleans…hello) to assume that there’s rampant incompetence the league is hiding from view, instead of the more likely scenario of rare incompetence and good process ruined by unclear rules forcing impossible interpretations. More transparency wouldn’t necessarily solve anything other than optics, but that’s not nothing. Plus, it provides more interesting television, and the NFL is all about making their product more entertaining.